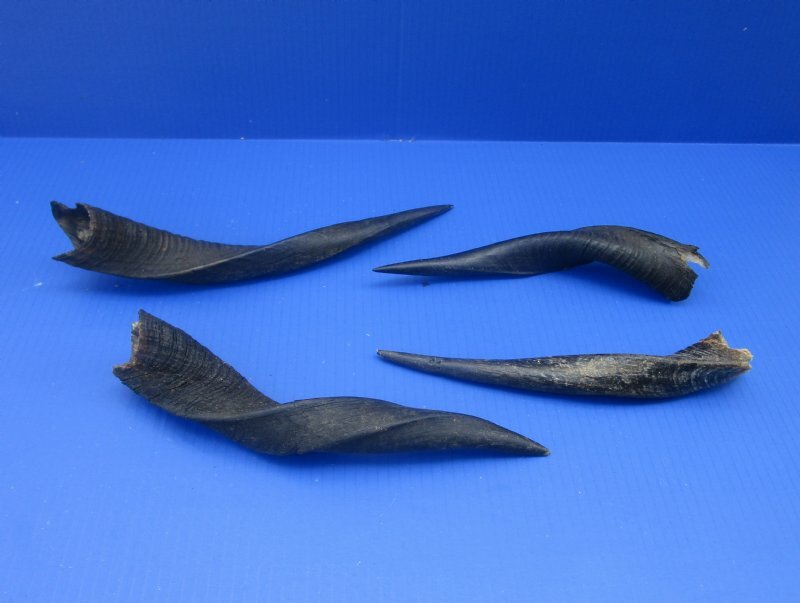 Wholesale Bushbuck horns for sale in bulk commercial grade, measuring approximately 8 inches and 12 inches measured around the curve of the horns using a cloth tape measure. 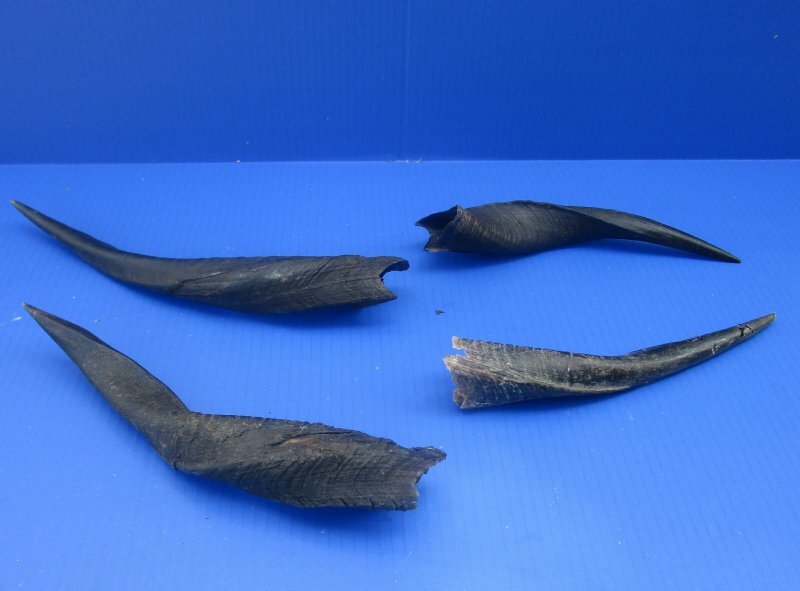 Bushbuck horns wholesale are used in making furniture, cane handles and in numerous taxidermy crafts. 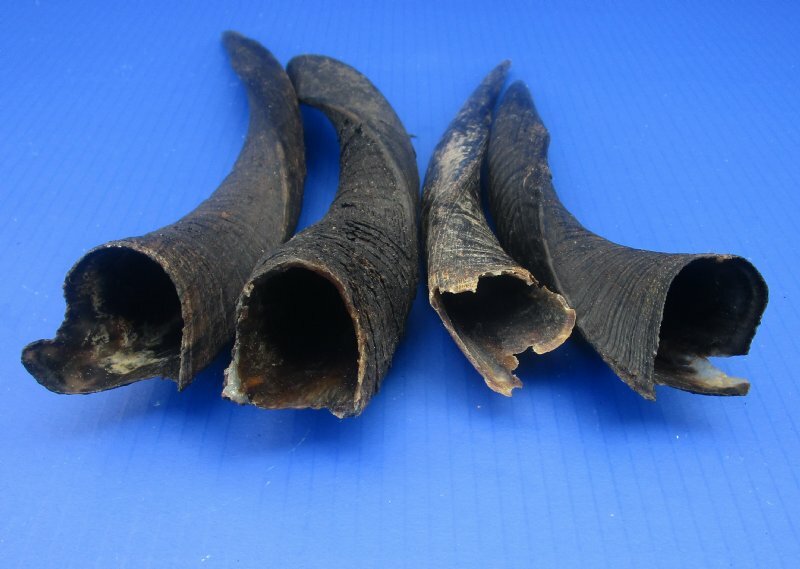 These are real animal horns, NOT replicas. 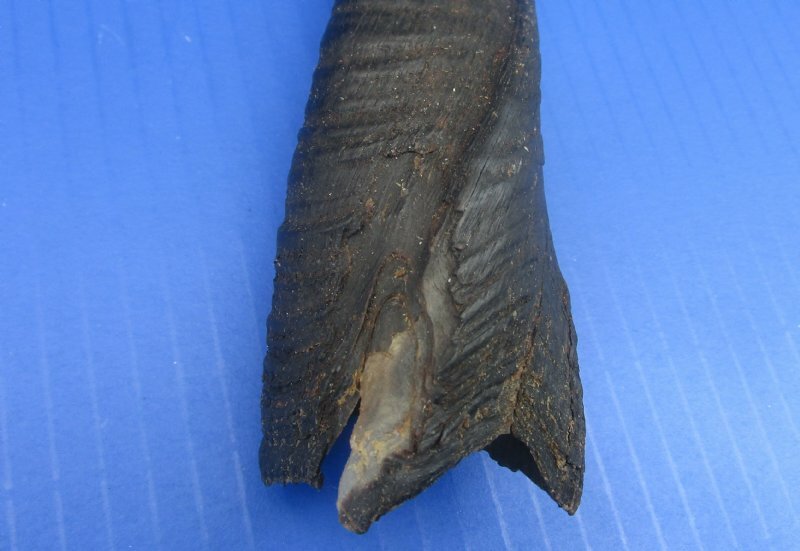 The bushbuck horns will have a few natural imperfections from living in the wild: cuts, scrapes, rub areas, blemishes, scars and other natural imperfections. You will receive bushbuck horns similar to those shown in the photo. No two will be idential. They will vary in size, coloring and shape.